If you need to brush up on the basics of Purescript, make sure to check out that first article again. This week, we're going to explore a couple other areas where Purescript is a little different. We'll see how Purescript handles type-classes, and we'll also look at monadic code. We'll also take a quick look at some other small details with operators. Next week, we'll look at how we can use Purescript to write some front-end code. For another perspective on functional web development, check out our Haskell Web Series. You can also download our Production Checklist for some more ideas! You can also take a gander at our Elm Series for another frontend language! The idea of type classes remains pretty consistent from Haskell to Purescript. But there are still a few gotchas. Let's remember our Triple type from last week. As a last note, Purescript does not allow orphan instances. An orphan instance is where you define a typeclass instance in a different file from both the type definition and the class definition. You can get away with these in Haskell, though GHC will warn you about it. But Purescript is less forgiving. The way to work around this issue is to define a newtype wrapper around your type. Then you can define the instance on that wrapper. If we're trying to draw a comparison to Haskell, it seems as though Effect is a comparable monad to IO. And it sort've is. But it's a little more complicated than that. In Purescript, we can use Effect to represent "native" effects. Before we get into exact what this means and how we do it, let's first consider "non-native" effects. A non-native effect is one of those monads like Maybe or List that can stand on its own. In fact, we have an example of the List monad in part 1 of this series. Here's what Maybe might look like. What's interesting is that Purescript used to be more based on the system of free monads. Each different type of native effect would build on top of previous effects. The cool part about this is the way Purescript uses its own record syntax to track the effects in play. You can read more about how this can work in chapter 8 of the Purescript Book. However, we won't need it for our examples. We can just stick with Effect. Besides free monads, Purescript also has the purescript-transformers library. If you're more familiar with Haskell, this might be a better starting spot. It allows you to use the MTL style approach that's more common in Haskell than free monads. This wraps up our look at the key differences between Haskell and Purescript. Now that we understand typeclasses and monads, it's time to dive into what Purescript is best at. Come back next week, and we'll look at how we can write real frontend code with Purescript! For some more ideas on using Haskell for some cool functionality, download our Production Checklist! For another look at function frontend development, check out our recent Elm Series! Our Haskell Web Series covers a lot of cool libraries you can use when making a web app. But one thing we haven't covered on this blog yet is using Haskell for front-end web development. There are a number libraries and frameworks out there. Yesod and Snap come to mind. Another option is Reflex FRP, which uses GHCJS under the hood. This week, we'll start out by exploring the basics of Purescript. We'll see some of the main similarities and differences between it and Haskell. We'll culminate this series by making a web front-end with Purescript. We'll connect this front-end to Haskell code on the back-end. Purescript is the tip of the iceberg when it comes to using functional languages in product! Check out our Production Checklist for some awesome Haskell libraries! Since Purescript is its own language, we'll need some new tools. You can follow the instructions on the Purescript website, but here are the main points. Create your project directory and run pulp init. You can then build and test code with pulp build and pulp test. You can also use PSCI as a console, similar to GHCI. Let's make a module in Purescript that will allow us to solve this same problem. We'll start by writing a module Pythagoras.purs. Here's the code we would write to match up with the Haskell above. We'll examine the specifics piece-by-piece below. But now let's consider some of the differences we can see from the code. For starters, we have to import more things. Purescript does not import a Prelude by default. You must always explicitly bring it in. We also need imports for basic list functionality. And speaking of lists, Purescript lacks a lot of the syntactic sugar Haskell has. For instance, we need to use List Int rather than [Int]. We can't use .. to create a range, but instead resort to the range function. Next week, we'll discuss the distinction between Effect in Purescript and monadic constructs like IO in Haskell. But now let's get into one of the more glaring differences between our examples. In Purescript, we need to make a separate Triple type, rather than using a simple 3-tuple. Let's look at the reasons for this by considering data types in general. Here's where it gets confusing though. If we use a full data type with record syntax, Purescript no longer treats this as an item with 3 fields. Instead, we would have a data type that has one field, and that field is a record. So we would need to unwrap the record using pattern matching before using the accessor functions. That's a pretty major gotcha. The compiler error you get from making this mistake is a bit confusing, so be careful! With this understanding, the Purescript code above should make some more sense. But we'll go through it one more time and point out the little details. We don't have list comprehensions. But we can instead use do-syntax with lists instead to get the same effect. Note that to use do-syntax in Purescript we have to import Prelude. In particular, we need the bind function for that to work. So let's generate all the possible triples now. Notice also we use pure instead of return. Now let's write our filtering functions. These will use the record pattern matching and accessing mentioned above. And now our solution will work! This week we started our exploration of Purescript. Syntactically, Purescript is a very near cousin of Haskell. But there are a few key differences we highlighted here about the nature of the language. Next week, we'll look at some other important differences in the type system. We'll see how Purescript handles type-classes and monads. After that, we'll see how we can use Purescript to build a web front-end with some of the security of a solid type system. Download our Production Checklist for some more cool ideas of libraries you can use! Our Haskell Web Series covers a lot of cool libraries you can use when making a web app. But one thing we haven't covered yet on this blog is using Haskell for front-end web development. There are many libraries and frameworks out there. Yesod and Snap come to mind. Another option is Reflex FRP which uses GHCJS under the hood. But for this new series I've decided to take a different approach. For the next few weeks we're going to be looking at Elm! I love Elm for a few reasons. Elm builds on my strong belief that we can take the principles of functional programming and put them to practical use. The language is no-nonsense and the documentation is quite good. Elm has a few syntactic quirks . It also lacks a few key Haskell features. And yet, we can still do a lot with it. This week we'll look at basic installation, differences, and usage. Next week, we'll compose a simple Todo application in Elm. This will give us a feel for how we architect our Elm applications. We'll wrap up by exploring how to add more effects to our app, and how to integrate Elm types with Haskell. Front-end is, of course, only part of the story. 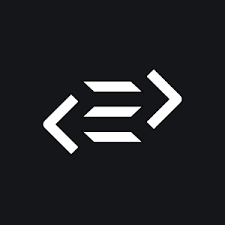 To learn more about using Haskell for backend web, check out our Haskell Web Series! You can also download our Production Checklist for more ideas! As with any language, there will be some setup involved in getting Elm onto our machine for the first time. For Windows and Mac, you can run the installer program provided here. There are separate instructions for Linux, but they're straightforward enough. You fetch the binary, tar it, and move to your bin. Once we have the elm executable installed, we can get going. When you've used enough package management programs, the process gets easier to understand. The elm command has a few fundamental things in common with stack and npm. First, we can run elm init to create a new project. This will make a src folder for us as well as an elm.json file. This JSON file is comparable to a .cabal file or package.json for Node.js. It's where we'll specify all our different package dependencies. The default version of this will provide most of your basic web packages. Then we'll make our .elm source files in /src. Elm uses a model/view/controller system. We define our program in the main function. Our Program type has three parameters. The first relates to flags we can pass to our program. We'll ignore those for now. The second is the model type for our program. We'll start with a simple integer. Then the final type is a message. Our view will cause updates by sending messages of this type. The sandbox function means our program is simple, and has no side effects. Aside from passing an initial state, we also pass an update function and a view function. The update function allows us to take a new message and change our model if necessary. Then the view is a function that takes our model and determines the HTML components. You can read the type of view as "an HTML component that sends messages of type Message. We can run the elm-reactor command and point our browser at localhost:8000. This takes us to a dashboard where we can examine any file we want. We'll only want to look at the ones with a main function. Then we'll see our simple page with the div on the screen. (It strangely spins if we select a pure library file). As per the Elm tutorial we can make this more interesting by using the Int in our model. We'll change our Message type so that it can either represent an Increment or a Decrement. Then our update function will change the model based on the message. As a last change, we'll add + and - buttons to our interface. These will allow us to send the Increment and Decrement messages to our type. Now we have an interface where we can press each button and the number on the screen will change! That's our basic application! We'll want to use scripting to pull all these elements together and dump them in an assets folder. We'll get some experience with this in a couple weeks when we put together a full Elm + Haskell project. There are a few syntactic gotchas when comparing Elm to Haskell. We won't cover them all, but here are the basics. We can already see that import and module syntax is a little different. We use the exposing keyword in an import definition to pick out specific expressions we want from that module. The more controversial differences between Haskell and Elm lie with these two concepts. Elm does not have typeclasses. For a Haskell veteran such as myself, this is a big restriction. Because of this, Elm also lacks do syntax. Remember that do syntax relies upon the idea that the Monad typeclass exists. There is a reason for these omissions though. The Elm creator wrote an interesting article about it. Instead of monads, Elm uses a function called andThen. This acts a lot like Haskell's >>= operator. We see this pattern more often in object oriented languages like Java. As an example from the documentation, we can see how this works with Maybe. So Elm doesn't give us quite as much functional power as we have in Haskell. That said, Elm is a front-end language first. It expresses how to display our data and how we bring components together. If we need complex functional elements, we can use Haskell and put that on the back-end. We'll stop there for now. Next week we'll expand our understanding of Elm by writing a more complicated program. We'll write a simple Todo list application and see Elm's architecture in action. To hear more from Monday Morning Haskell, make sure to Subscribe to our newsletter! That will also give you access to our awesome Resources page!